During GAC, members came together with Headquarters staff for committee meetings to make recommendations and give member insight. This helps Headquarters Staff better understand how to approach and move forward with these topics during the next biennium. A more detailed report of committee recommendations can be found here. The Alumni Relations Committee had many suggestions regarding advisor training. They recommended that in-person training and online sessions be offered to explain to advisors why a 17-hour training program is important, as well an option to extend or shorten the two advisor trainings. They would also like to see a special “alumni edition” on the front cover of The Shield. The Communications Committee concluded that a survey of members needs to be executed to determine if members wish to receive a paper or digital copy of The Shield. The Extension Committee proposed that Headquarters staff should maintain a checklist of operational items to introduce to each colony. The Fraternity Education Committee considered a more flexible approach to new member education that considers varying factors on each campus. They also proposed forming a task force to provide feedback on this initiative. The Membership Committee called for: A clear process from the Executive Council for the permanent removal a brother, additional Accreditation training and an increased analysis of current recruitment techniques. 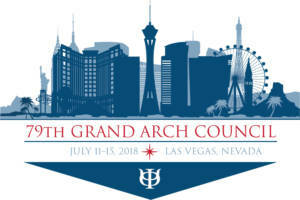 The Committee also recommended a formal set of recruitment practices to be distributed at the GAC in 2020, and the solicitation of best recruitment practices from each colony and chapter, along with a review of reasons for success or failure, and the implementation of a standard protocol for assigning a “dormant” status to a brother. The Philanthropy Committee finalized the new Service Immersion Trips program. This program will occur bi-annually in different locations to address poverty in the local community. They will also resource potential grants and funding for local chapters on an as-needed basis. The committee also requested a new set of accreditation standards that will challenge members to participate in community service hours, based upon member academic performance and for community service hours to be submitted through the AG or Philanthropy chair rather than individual member. Consultant training to yield better chapter relationships with local community service organizations was also proposed. The Ritual Committee proposed the Reaffirmation Ceremony be changed into a private annual event, and the incorporation of opening and closing rituals into the ceremony script. They also established a new Special Committee on the Ritual and Ceremonies, which will be spearheaded by Brothers David McDonald (Beloit ’82) and Timothy Tangen (Duluth ’03). They would also like to see a continuation of the production of The Centennial History of Phi Kappa Psi. The Scholarship Committee proposed that Headquarters Staff should require unofficial transcripts for universities that do not provide grade reports. The establishment of a system to identify when a faculty advisor is not performing adequately and options to remedy the situation and the creation of video testimonials to promote the benefits of having a Faculty Advisor was also recommended. The State of the Fraternity Committee recommended a joint task force with Member Development be organized to research the root causes of hazing sexual assault, and substance abuse. They also recommended implementing conflict resolution training for chapter members, and requested that the Continued Education Plan be written and executed by 12/31/18. Finally, they recommended that the Executive Council review the current risk management policies. The Finance Committee looks toward incentivizing early payments for chapters as opposed to fining late payments.